an architecture: People in Urban Spaces. 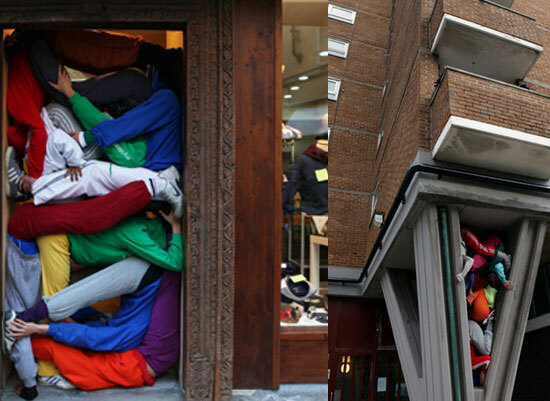 "bodies in urban spaces" is a temporarily intervention in diversified urban architectonical environment. 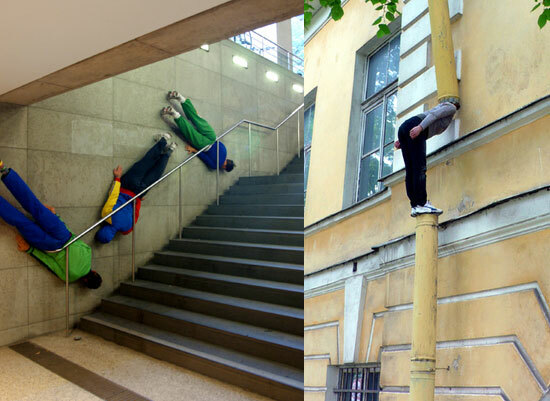 The intention of "bodies in urban spaces" is to point out the urban functional structure and to uncover the restricted movement possibilities and behavior as well as rules and limitations. By placing the bodies in selected spots the interventions provoke a thinking process and produce irritation. Passers by, residents and audience are motivated and prompted to reflect their urban surrounding and there own movement behaviour and habits. 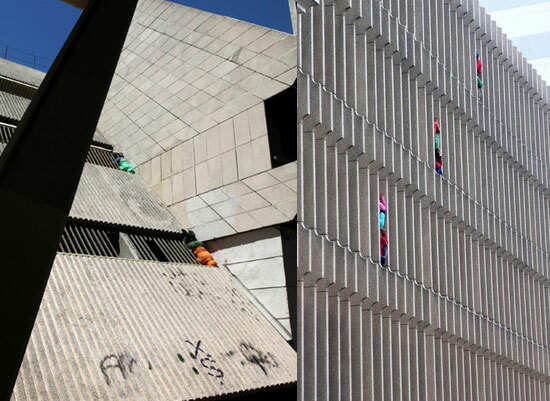 "Bodies in urban spaces" invites the residents to walk their own city thus establishing a stronger relationship to their neighbourhood, district and town. The interventions are temporarily without leaving any traces behind, but imprints in the eye-witnesses' memory. More info at www.ciewdorner.at the makers of "bodies in urban spaces".